The novel calls itself a “Prose Epic” because of its subject matter, but is otherwise a purposeful implosion of literary gimmicks. Outlandish characters and tropes disguise a story within a story: A Narrator and an Editor (named Gabbler) frame the novel. 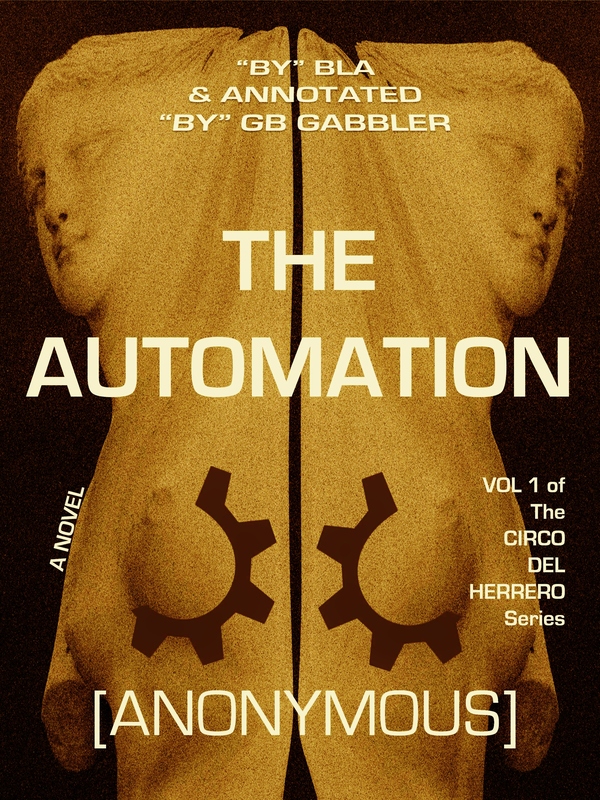 Gabbler’s pompous commentary (as footnotes) on the nameless Narrator’s account grounds the novel in reality. Gabbler is a stereotypical academic who likes the story only for its so-called “literary” qualities, but otherwise contradicts the Narrator’s claim that the story is true. 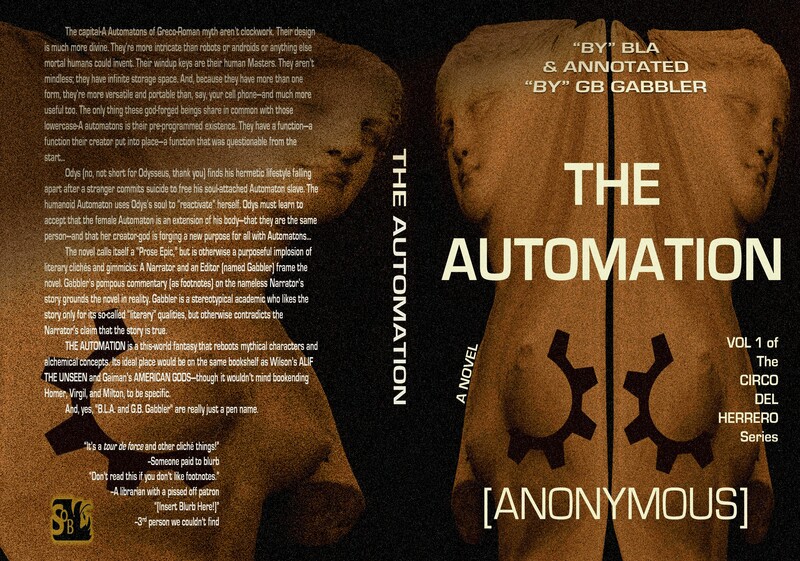 THE AUTOMATION is a genre-bending fantasy that teeters between the classical and the experimental. Its ideal place would be on the same bookshelf as Pullman’s HIS DARK MATERIALS trilogy and Gaiman’s AMERICAN GODS—though it wouldn’t mind bookending Homer, Virgil, and Milton, if it had a choice. So phallic. So glitchy. So gross.